JBoss Enterprise Application Platform 6 must be running. Navigate to the Management Console in your web browser. The default location is http://localhost:9990/console/, where port 9990 is predefined as the Management Console socket binding. 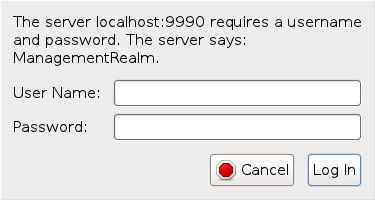 Enter the username and password of the account that you created previously to log into the Management Console login screen.